· All bids to be received by Thursday, December 8, 2016 at 11:59 AM Pacific Standard Time (19:59:59 UTC) via email or fax. · NO advance deposit is required to participate in the .buzz auction. · The winning bidder must submit a deposit of ten percent of the winning bid amount by Thursday, December 22, 2016. · Full winning bid must be received by Friday, January 20, 2017. · If the deposit and/or winning bid amounts are not received by their respective deadlines, the bidder will be deemed in default and the next highest bidder will be deemed the winner. · Winner will not be responsible for any undisclosed liabilities of dotStrategy, Co. The December 8th auction, previously announced by dotStrategy, is a closed-sealed auction with a minimum reserve bid of $3,500,000 USD. · The auction is for all of the issued and outstanding shares in dotStrategy Co.
· Immediate active user base of well-defined and growing communities displaying a genuine affinity for the word "buzz". For a copy of the .buzz auction non-disclosure agreement and access to the bidder agreement as well as access to the .buzz auction due diligence web site, please contact Christa Taylor. dotStrategy, Co., is an Arkansas, USA-based company with a principal place of business in Conway, Arkansas. The company is the exclusive contracted applicant to ICANN for the new TLD .buzz. 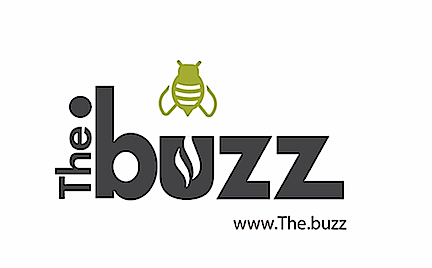 dotStrategy Co.'s .buzz TLD application was submitted to the International Corporations of Assigned Names and Numbers (ICANN) in the first round of the new TLD application period in April of 2012 and currently has over 10,500 registered .buzz domain names. For auction advising and consulting services, dotStrategy, Co. has secured the services of Christa Taylor, CPA, dotTBA; Mike Rodenbaugh, Principal, Rodenbaugh Law; and Ty Jordan, Attorney, Jordan Law Firm. Visit www.dottba.com for additional information.